Da Fresh, Andres Blows, Jim Rivers, Mauro Picotto, Jaques Raupe and more. 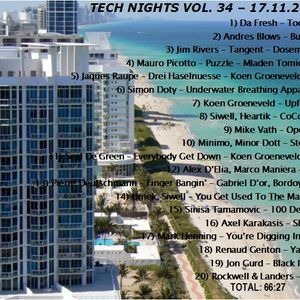 Miguel Fuerte&apos;s Tech Nights Volume 34.... Enjoy!